Jumeirah Village Circle is a prominent residential community in Dubai, master planned by Nakheel and project managed by EllisDon. 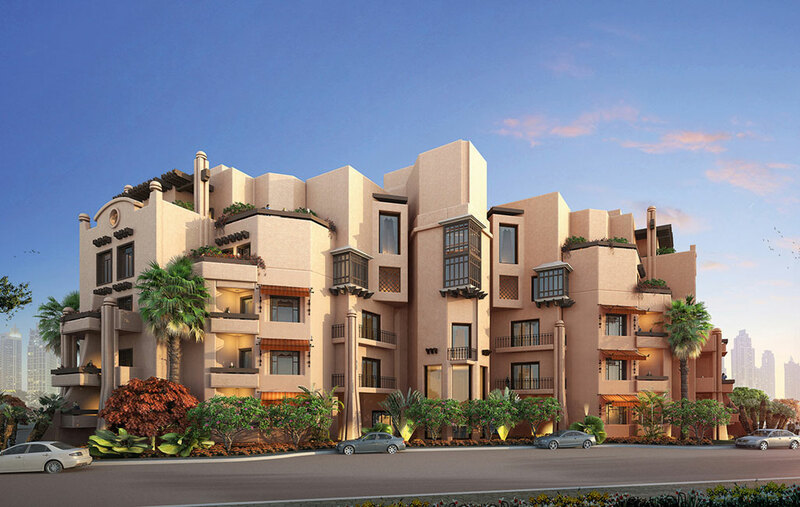 In April 2007, Diar Consult was appointed by a private developer, Al Zahra Properties, as lead consultants to master plan their residential sector comprising five lots in Jumeirah Village Circle, with a site area of 15,479m²; and to design all elements of the master plan over two parcels (A and B), including three-storey townhouses, five-storey apartment buildings and such shared amenities as a fitness centre, swimming pools and recreation grounds. The grain of the master plan suggests organic growth, in preference to structured urban architectural scale and discipline. 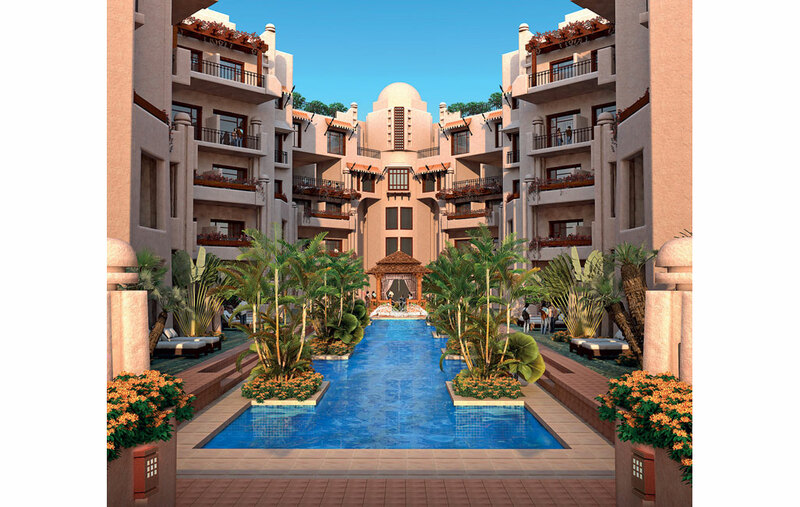 The result is a Mediterranean-style living environment that conjures up a Spanish-vibe with intimate landscaped semi-private community gathering and recreational spaces between the townhouses and houses of residence. These open and closed courtyards include swimming pools, piazzas and alleyways. The façades are uniformly finished in a sand-coloured, textured rustic stucco and brought to life by the use of randomly placed idioms and elements, such as balconies, buttressing structures, projected wooden bay windows (mashrabiyas), terraces and roof gardens.